The District 6440 Nominating Committee last night selected Ellen Young of the Rotary Club of Lincolnshire Morning Star to be candidate for the post of District Governor. If elected by the clubs, she will serve during Rotary year 2014-15. Please join me in congratulating Ellen on this honor. Ellen Young joined the Lake Forest/Lake Bluff Noon Rotary Club in 1991, and served as its President during the 1998-1999 Rotary year. During her tenure in the club, she served as Treasurer, Club Board Member and International Service Committee Chair. When Ellen changed employers in 2002, she became a member of the Winnetka Northfield Rotary Club, where she served as Membership Chair and a Board member of the Club and Foundation. Another career transition brought Ellen to Lincolnshire in 2004, when she joined the Lincolnshire Morning Star Rotary Club. In addition to serving as the Club’s President in 2009-2010, Ellen served as Treasurer, Club and Foundation Board Member, International Committee member, Service Committee Chair and End Polio Now Coordinator. At the district level, Ellen was an Assistant Governor from 2008 to the present, serving McHenry, Crystal Lake Dawnbreakers, and Antioch, followed by Des Plaines, Mount Prospect/Prospect Heights and Mount Prospect Sunrise Club, which has just merged with the Arlington Heights Sunrise Club. She served as District Treasurer from 2009-2010 and is now a member of the Finance Committee. Ellen has been on the End Polio Now Committee since its inception in 2008, and has served as its Chair in the past two years. Over the years, Ellen has sponsored two summer exchange students, from Brazil and Belgium, and two GSE team members from Australia. Her two daughters each also participated in a summer youth exchange, one to Argentina and one to Mexico. During the 2005 International Convention in Chicago, she co-chaired the Rotary Ravinia 2005 committee, which arranged a home host event at Ravinia for 500 international guests. Ellen has spoken at several Rotary Clubs about the End Polio Now campaign and has assisted clubs in developing their local marketing initiatives. 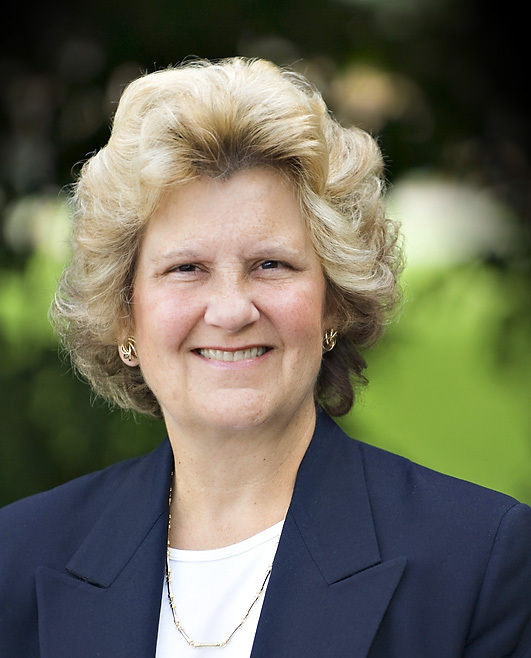 Ellen pursued a career in commercial banking, lending first to multinational corporations (including 2 ½ years in London, England), and later lending to smaller firms, individuals and non-profit corporations in the northern suburbs. Her employers include Continental Bank, Bank of America, First Chicago and Northern Trust. Ellen holds a BA in Economics and Political Science from Smith College and an MBA in Finance from the University of Chicago Graduate School of Business. Ellen has served on many community boards, including the Lake Forest/Lake Bluff and Northfield Chambers of Commerce, where she served as President in 1995, and 2004-2005 respectively; LEAD (Linking Efforts Against Drugs); Big Brothers Big Sisters of Lake County; and the City of Lake Forest Public Library Board of Trustees, serving as its President in 2010. She has also been active in her Church, St. Mary’s in Lake Forest, serving as a Minister of Care since 1997. Ellen, (a native of Milwaukee, Wisconsin), and husband Christopher (a native of England), have lived in Lake Forest since 1993, and before that in Deerfield, since 1978. They have three children, Catherine, Sarah and Jonathan, and two grandchildren, Olivia and Colin. Ellen, her husband, and her children are all Paul Harris Fellows. Ellen is also a member of the Paul Harris Society.